Replacment set of metric expansion plug (aka Freeze Plugs) for all RX-7 Rotary Engines. 13B Rotor Bearing. Technically this is a different part than the 13B-REW in the 3rd Gen FD RX-7, but you can get away substituting this significantly less expensive part. These are the thicker 1.0mm thick side seals used from 1974 through 1985, both 12A and 13B applications. They come a bit long, so you need to file/sand them down to fit. Sold individually. Order 12 for a 12A or 13B 2-rotor engine. These are the springs for the thicker 1.0mm thick side seals used from 1974 through 1985, both 12A and 13B applications. Sold individually. Order 12 for a 12A or 13B 2-rotor engine. Front Main Seal. Installs in front cover to prevent oil from leaking past the eccentric shaft. Always replace. One required per engine. This is technically the 2nd gen FC and earlier part, but they work fine for 3rd gen FDs (13B-REW) as well. Rear Main Seal for all RX-7s. Replace any time you remove flywheel. Fits 84/85 GSL-SE 13B and earlier 13Bs. Stock 1978-91 rear oil pressure regulator modified for higher pressure. 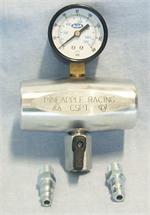 We provide a regulator and modify it to your requirements from 70psi to 95psi.